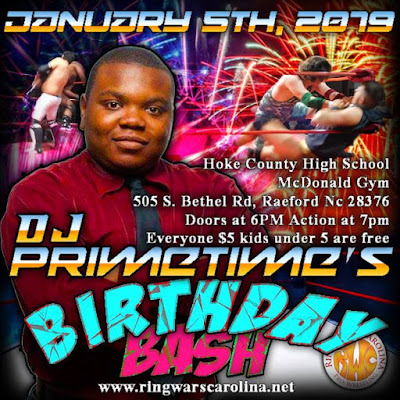 Ring Wars Carolina: Next Event: "DJ Primetime's Birthday Bash"
How does Ring Wars Carolina celebrate birthdays? By having a Birthday Bash, in your Hometown of course! Hoke County NC, Come on out and help make this bash the biggest of them all! 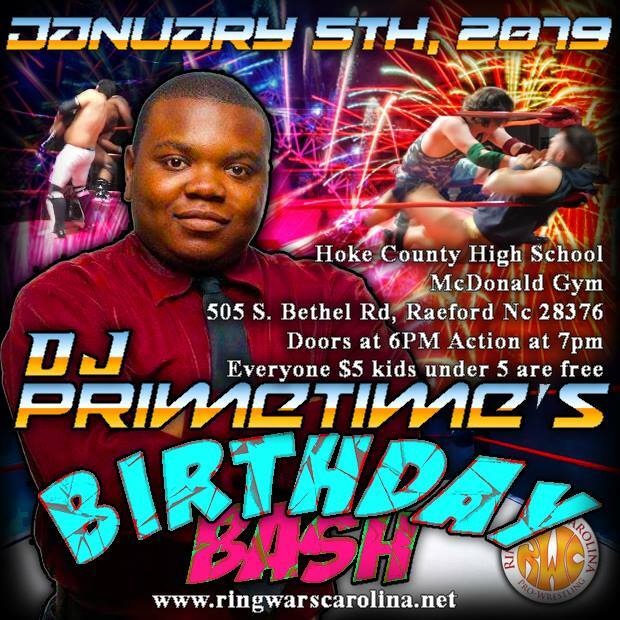 January 5, 2019 in Raeford NC at the Hoke County high school, RWC Will celebrate DJ Primetime birthday with a ton of exciting, action packed pro-wrestling! a couple of surprises thrown in for good measure. Come check it out! The best thing is the $5 admission fee for all! Now you have to come and get a slice of the action!